to the vitality and sustainability of their organization, a recent poll showed that only one third currently develop competencies. It’s interesting to note that in the same poll, 45% of the respondents were also considering implementing a competency based training program within the next 12 months. To achieve their desired goals, organizations that are currently developing or planning development should understand and build the five competency development best practices into their development process. Development needs to happen on-the-job. There are many research studies that show development happens on the job. The US Department of Labor estimates that 70% or more of work related learning occurs outside of formal training. So it stands to reason that learning needs to integrate seamlessly into the employee’s daily work and on-the-job activities to leverage the natural way people learn. The other benefit of designing development around on the job activities is the elimination of scrap learning. Scrap learning is training that was successfully delivered and not applied on the job. Some estimate that 50 – 80% of all training is scrap learning and is never applied. This means that five to eight out of every ten dollars of training budgets are wasted. When you add up the cost of formal training to include the cost to provide the training, travel expenses and the time away from the job, total costs are very high. 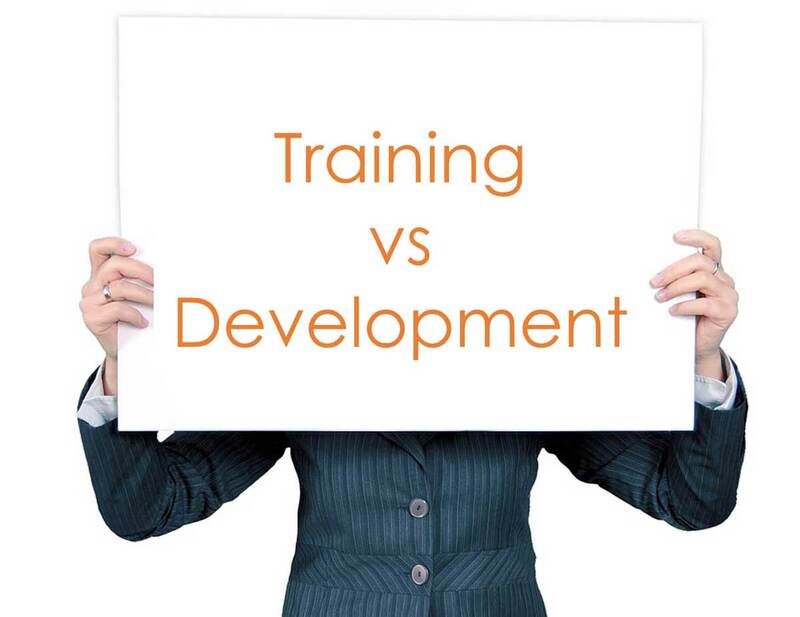 Training and development leaders need to be more effective with their training budgets. By providing on the job competency development you eliminate scrap learning and increase your return on investment by as much as 80%. Chunked learning. Chunking refers to the strategy of breaking down information into bite sized pieces so the brain can better digest new information. The reason the brain needs this assistance is because working memory, which is the equivalent of being mentally online, holds a limited amount of information at one time. Dr. George A. Miller, the author of one of the most highly cited papers in psychology, "The Magical Number Seven, Plus or Minus Two" formulated the chunk concept in 1956 as he presented evidence that working memory is limited in capacity. So, how does this relate to learning and application of learning? Here’s an example. If you were given a string of numbers, say 19525456698, most people would have a hard time remembering the number a short while later. However, if you break the number into smaller chunks, 1-952-545-6698, you have a much higher ability to remember the number. A learner’s memory operates the same way. If too much information is presented at the same time, the excess information will drop out and disappear. Presenting information in small chunks prevents information overload as well as scrap learning. Videos. How people take in information has changed. For instance, people watch short videos to learn everything from how to tile the bathroom floor, to how to fly fish, to how to create a border garden, or prepare a crown roast. Learners are accustomed to learning new skills and capabilities by watching videos. However, in addition to videos, information needs to be presented in multi ways, such as written instructions and downloadable word documents, as one size fits all does not meet the needs of a diverse workforce. Self paced and self directed. For learning to be self paced and self directed, learners need to be able to access the information when they need it (just in time learning) and complete it at their own pace. Additionally, they need to be able to choose the training and development that best meets their needs. When these conditions are present, learners take more ownership of their learning and are more engaged in the learning process. Aligned to the organization’s competencies. Organizations spend a great deal of time and energy identifying the competencies that will drive individual performance and organization success. Many organizations build their competencies into their selection process, succession management, and compensation processes. If an organization is selecting job candidates, promoting and rewarding according to their competency model, it makes sense to develop current employees’ competencies. In fact, competency development needs to be tightly aligned to the organization’s competency model to ensure organizational success. Conversely, development that is not aligned to the organization’s competency model can result in developing skills and capabilities that will not drive organization success. Additionally, learners will see you are measuring one thing on their performance reviews, but developing different competencies in practice. Learners need to see a direct relationship between what they are learning and what the organization has defined as important for effective job performance. The development of personal competencies specifically aligned to your organization’s priorities will lead to increased personal and organizational performance. So, how does a training and development professional develop their employees’ competencies taking into consideration the five best practices? GyrusAim LMS and Vado’s e-learning courses have the answer. Self-paced and self-directed – we provide five development actions for each competency so learners can choose the learning content that suits their unique needs and situation. Additionally, learning content is delivered through your LMS or technology platform so it is available when learners are ready to develop. Aligned to your organization’s competency model – by mapping our courses to your organization’s competency model, definitions, and behaviors, we deliver the right set of development courses to specifically build your learners’ competencies.